I have so many beauty products that it's difficult for me to use that many up to the very last drop. The true test of how much I enjoy something is if I'm able to do that - because it has so much competition! Lush Ultrabland Cleanser - this is the best cleanser I have ever, ever used. 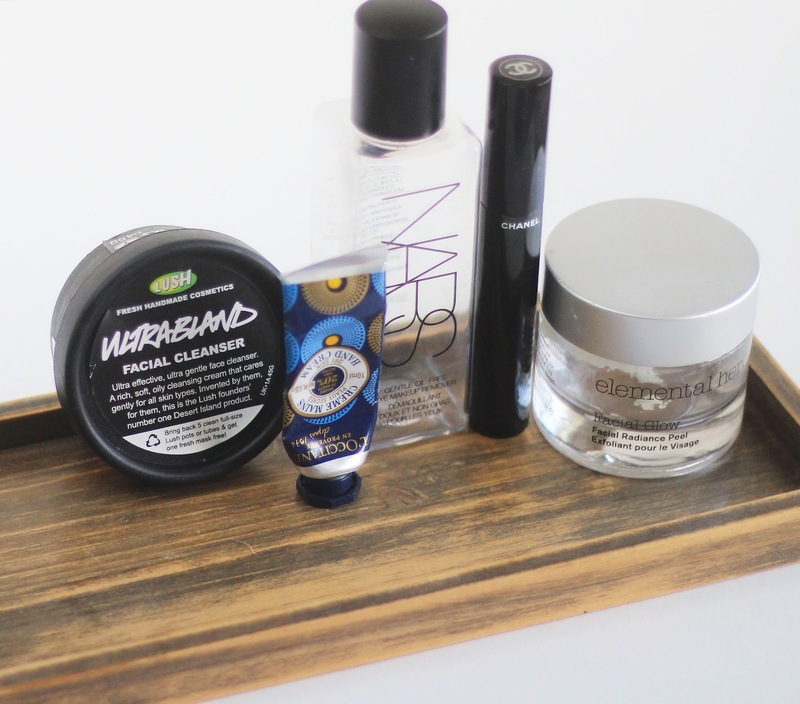 You may have spied it in my February Favourites! I've used a lot of expensive ones, but this tub you can get for less than £10 has totally stolen my heart. It's so soothing, feels so nice on my skin, and quite frankly my skin has never been so clear. I repurchased a new tub about a week before this one ran out. L'Occitane Shea Butter Hand Cream - like I mentioned in my post Good Beauty Habits To Get Into, I used to think hand creams were for older women, but I was wrong, and I'm currently obsessed. I haven't repurchased this exact one as I have a couple of others to keep me going! 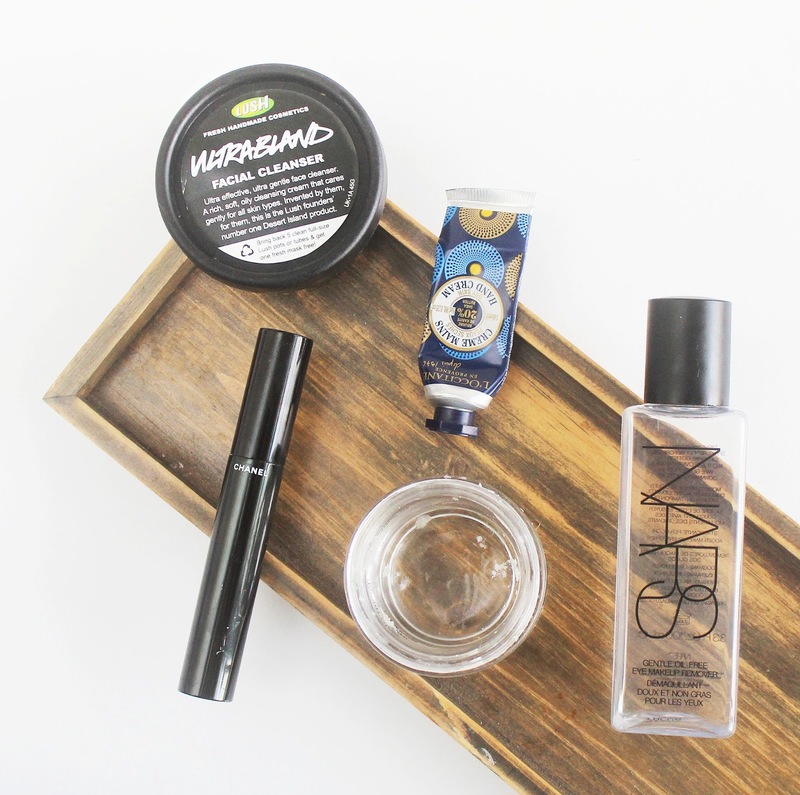 Nars Gentle Eye Make Up Remover - Whilst I did use this all up, I won't be repurchasing. Although it's supposedly "gentle", I found this really stung my eyes. Chanel Le Volume De Chanel Mascara - this is a lovely product. It's fabulous at lengthening and curling the lashes, but I have so many mascaras I don't need to repurchase just yet. Elemental Herbology Facial Glow - this is such a nice exfoliating mask! It's not like any other exfoliating masks I use, as it's like a scrub/mask hybrid. It's not too abrasive, but it is effective where you can see the results almost instantaneously; my skin feels soft and smoother, and looks a little brighter. 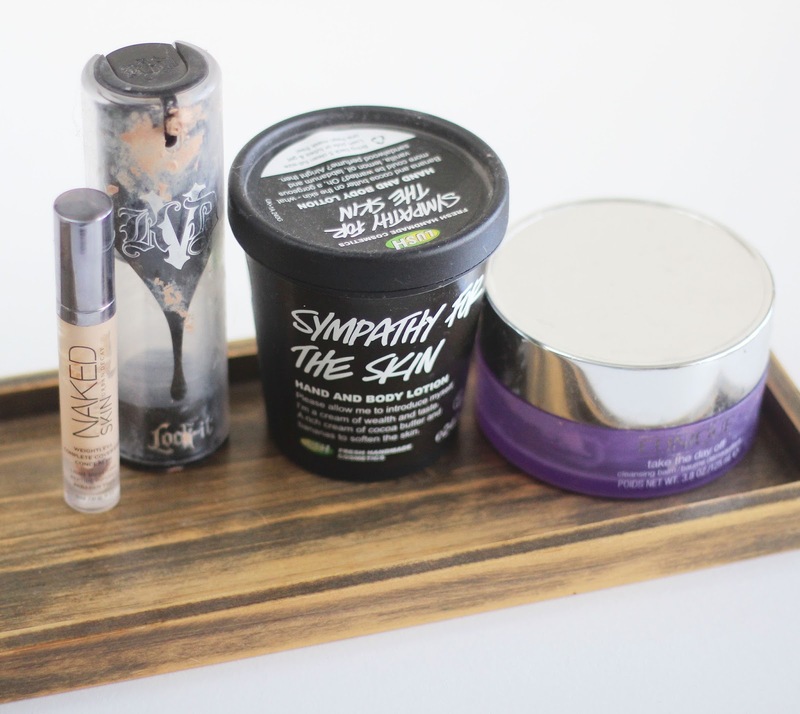 Urban Decay Naked Skin Concealer - this is definitely an old favourite, but I won't be repurchasing because I'm currently loving Urban Decay's All Nighter Concealer. Kat Von D Lock It Foundation - this is one of my favourites of all time! It's super full coverage, and you really don't need a lot for it to cover everything. It dries down really fast and to such a weightless finish, it almost feels shrink wrapped around your face, but in a second skin kind of way, not a heavy, tight way. Shrink wrapping is probably a bad analogy, but it's the only way I can think to describe it! However I'm not going to repurchase just yet because, a) it's matte finish, which I don't think I'll be reaching for a lot now that the weather's getting warmer (or is supposed to be getting warmer...) and b) it's very similar to the Becca Ultimate Coverage Creme, which I'm currently alternating in my stash. Lush Sympathy for The Skin - running out of this and heading to Lush to repurchase was what made me decide to go on a little Lush haul! This is such an amazing body lotion, it leaves my skin feeling so soft and smelling incredible. Clinique Take The Day Off Balm - I will never not repurchase this. It's the best make up remover. I use it all the time and use up a tub every couple of months! YSL The Shock Mascara - review here. I may repurchase it at some point, because I do enjoy it! But I have plenty of mascaras to get through for now. Ciate Triple Shot Mascara - this is the mascara for lengthening. 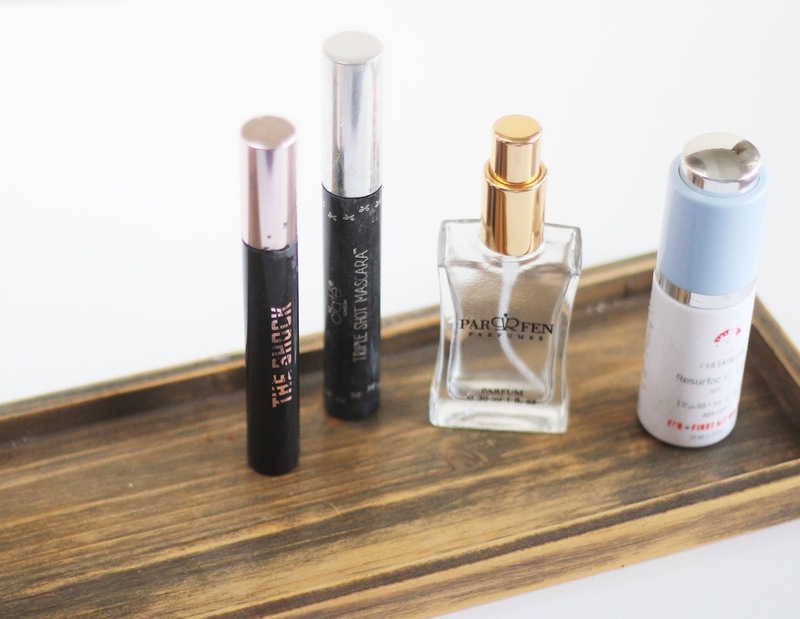 It lifts my lashes right up to touch my brows! However it doesn't do much in the way of thickening, which is my main concern, so I probably won't repurchase. Parfen Perfumes No.881* - This fragrance smelled gorgeous, lovely and feminine. You can read a full break down of it here. First Aid Beauty Resurfacing Liquid - this is an AHA serum so is great for brightening the complexion and is great for those of us troubled by pigmentation. I did find that this helped with some dark marks and pigmentation left over from an acne break out. As much as I love this serum I'm currently working my way through Elemental Herbology Cell Nourish* so don't feel the need to restock on this yet. 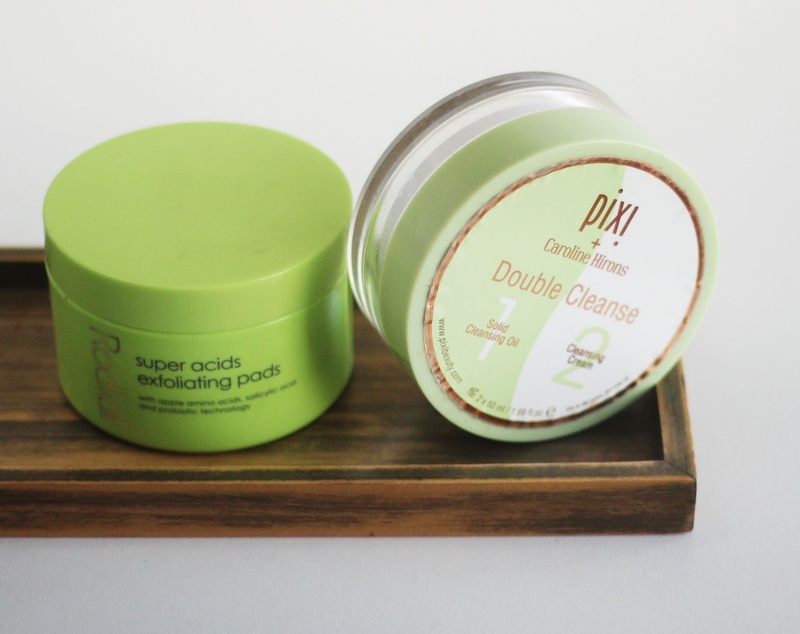 Pixi + Caroline Hirons Double Cleanse* - this cleanser has two sides, literally: a balm to oil, and a cream. 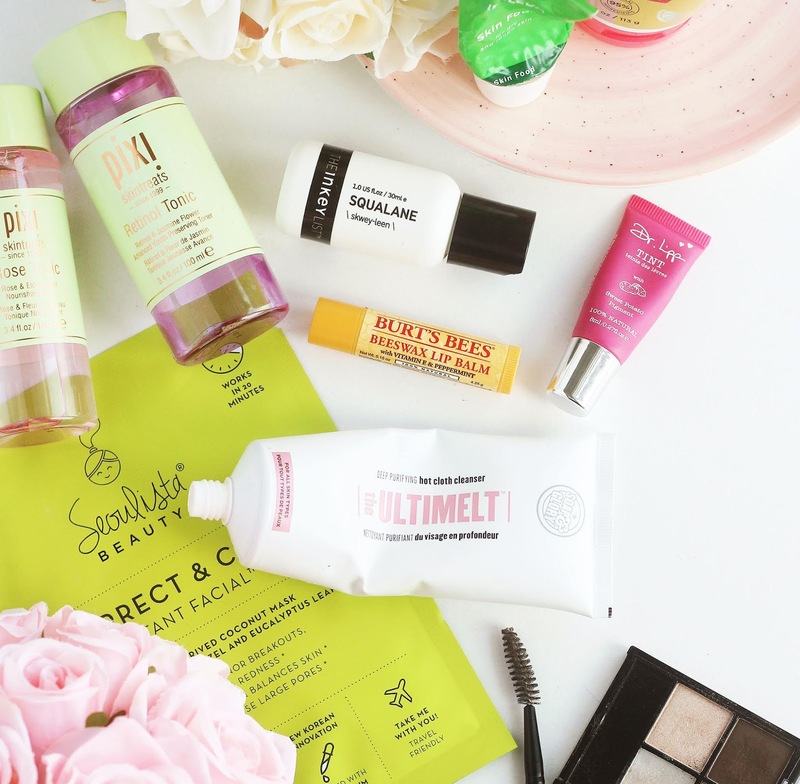 The former melts make up, the latter cleanses the skin. This is amazing, and I adore Caroline Hirons so this will make its way back into my stash soon, without a doubt! Rodial Super Acids Exfoliating Pads - review here. I won't repurchase them, my skin is clear right now so an acid toner containing salicylic acid isn't necessary for me at the moment, however I'm pleased to know these work for me in case of any future break outs.